SCOTTSDALE, Ariz. - Colorado Rockies slugger Nolan Arenado says "at the end of the day my heart was here" and he wants to emulate Todd Helton and Derek Jeter by spending his entire career with one team, explaining why he gave up a chance to become a free agent after this season. 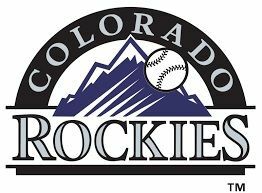 The All-Star third baseman's voice quavered when he spoke Wednesday, a day after agreeing to a $260 million, eight-year contract with the Rockies. The deal's $32.5 million average annual value is second behind the $34.42 million for pitcher Zack Greinke in a $206.5 million contract with Arizona that began in 2016. Arenado says the cold free-agent market the past two seasons wasn't a big factor but "obviously it's in your head." Manny Machado waited until last week before getting a $300 million, 10-year deal with San Diego, and Bryce Harper remains on the market. Arenado says: "I don't go off what everyone else is doing. I never have." His deal allows him to opt out after the 2021 season and become a free agent.